City property investors Seven Capital today unveil the name and CGI images of what will be the first ever residential square in Birmingham’s creative quarter. The city’s historic Harrison Drape building on Bradford Street in Digbeth is being renamed Fabrick Square as Seven prepare to launch 313 newly created apartments to the market. Drawing on the building’s history as a former curtain factory, the development will consist of four individual buildings: The Cotton Lofts, Cotton House, The Drapery and Drapery House. The two-acre Fabrick Square development will comprise 73 studios, 152 one-bedroom and 88 two-bedroom flats as well as a 2,420 sq ft retail unit, parking and landscaping. Each of the Fabrick Square buildings has its own character, and every apartment is being carefully crafted in both layout and specifications. The high-end apartments are expected to range from £99,000 to £149,000. “Digbeth is an incredibly vibrant and creative part of the city. As an investment prospect this development is an exciting one with huge growth potential for individuals and investors alike. “We are already seeing interest from those looking to benefit from the area’s growing creative reputation, amenities and close proximity to the proposed HS2 station at Curzon Street and city centre. The Harrison Drape building was home of curtain track maker Harrison Drape since the 19th century. Seven has stated its commitment to retaining as many original features as possible, including the façade of the building, helping to maintain its unique appearance and heritage. “Each of the Fabrick Square buildings has its own character, and every apartment has been crafted in both layout and specifications. With clean, contemporary lines and stylish fittings, every room will be furnished to the same exacting high standards. Work on the new Fabrick Square development is underway and is expected to complete by the end of next year. Seven Capital and Colmore Tang are working together to bring forward more than 2500 new homes across Birmingham. 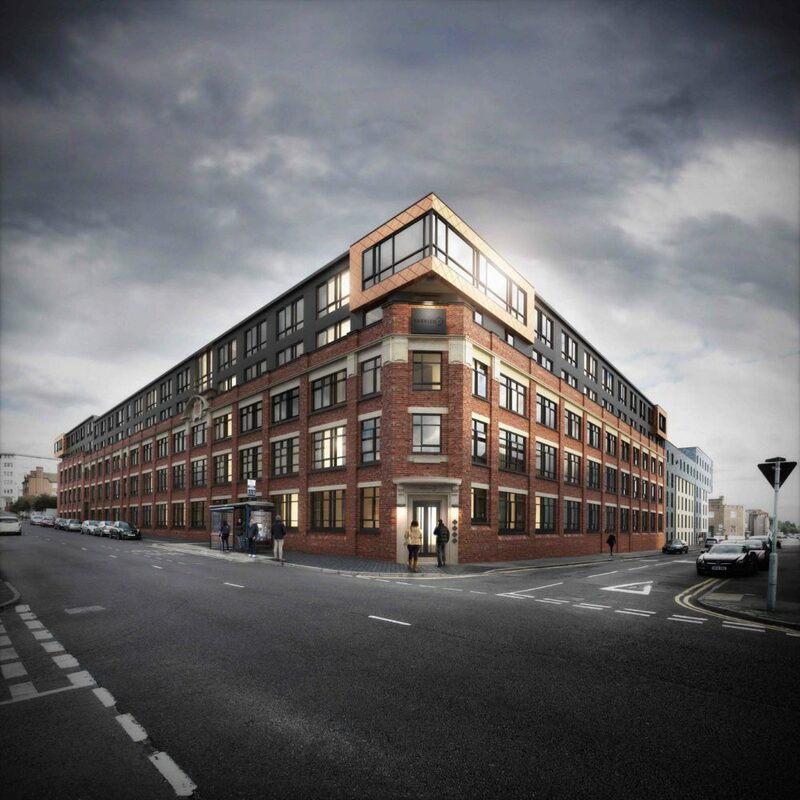 Current developments include the creation of 500 apartments at the Kettleworks in the Jewellery Quarter, 271 apartments in One Hagley Road and 313 in Fabrick Square, Digbeth. The partners have also recently completed a refurbishment of the Grade II listed 112 Colmore Row.